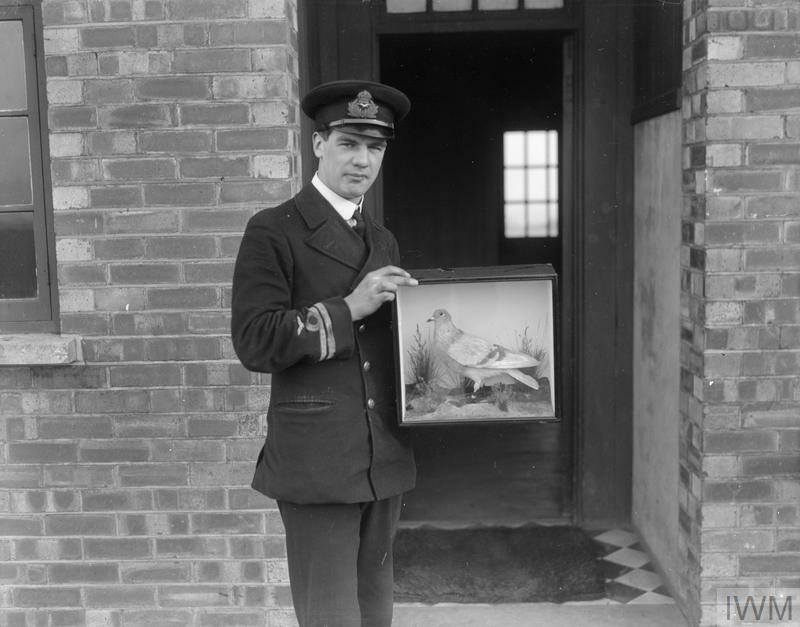 A Royal Navy pigeon is used to demonstrate the method of fixing messages to a bird's leg. A message carried by a pigeon. 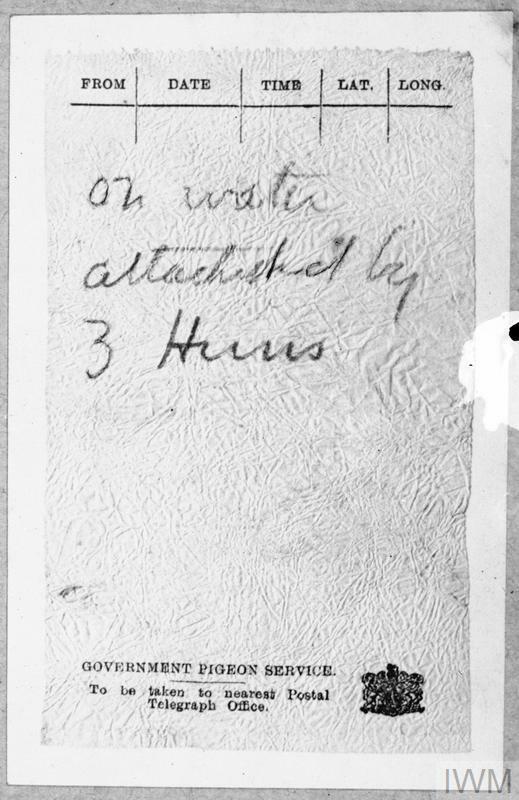 Message reads, 'On water attacked by 3 Huns'. Pigeon No. 498, which Skipper Thomas Crisp sent for help when he was attacked by a German U-boat in August 1917. Crisp was killed but, despite being wounded in one wing by shrapnel, the bird delivered the message in time for help to be sent to the crew. A pigeon which saved four lives. It struggled against a gale with a message from four airmen who had come down in the sea. The bird died from exhaustion upon arrival. 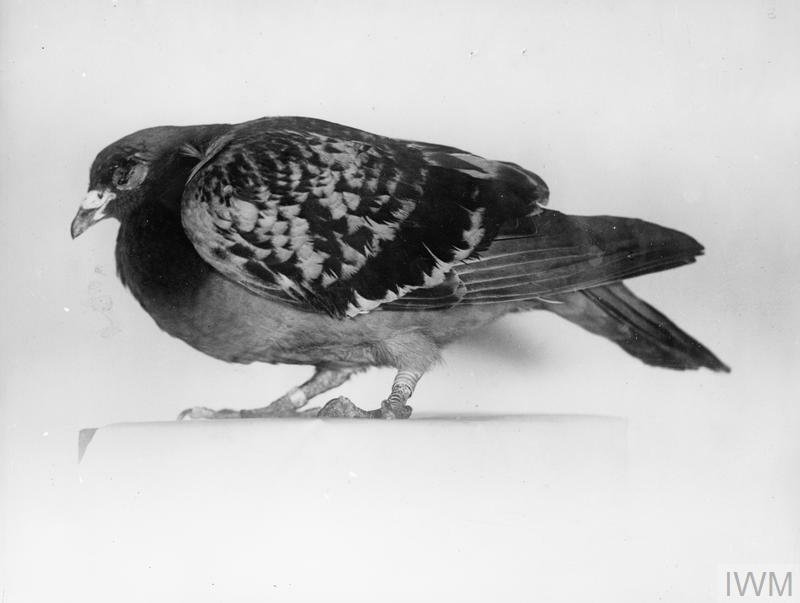 This RAF pigeon was claimed to have flown 82 miles in 22 minutes to deliver a message that helped with the rescue of two wrecked seaplane pilots. 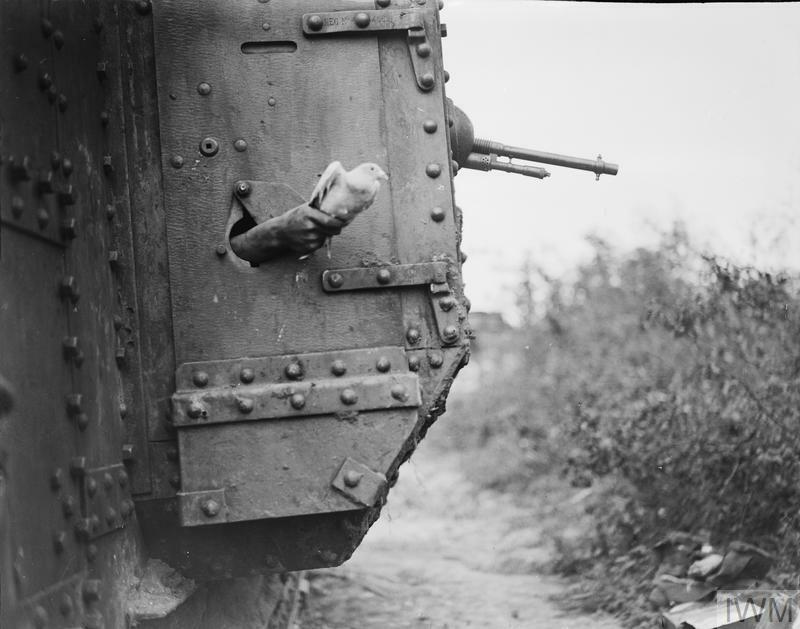 A carrier pigeon being released from a port-hole in the side of a tank near Albert, 9 August 1918. 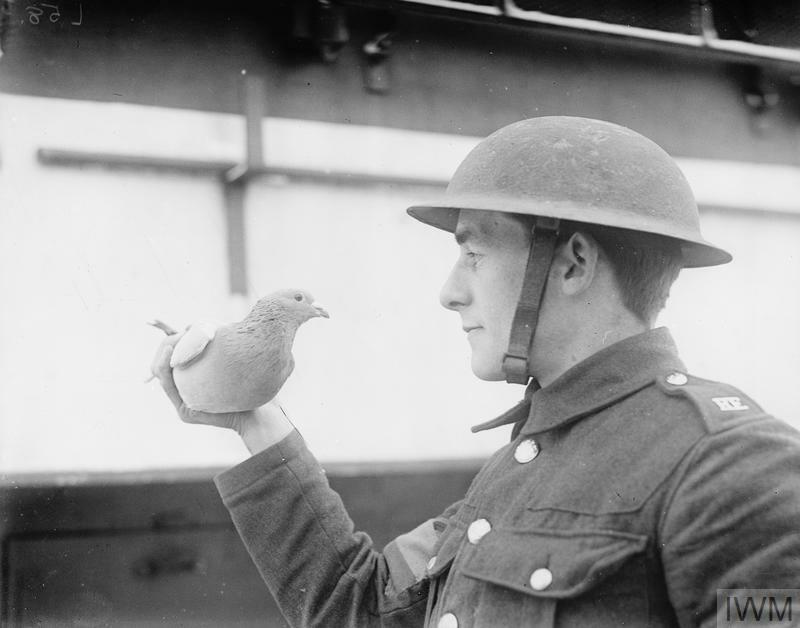 The Tank Corps often used carrier pigeons to relay information during an advance. 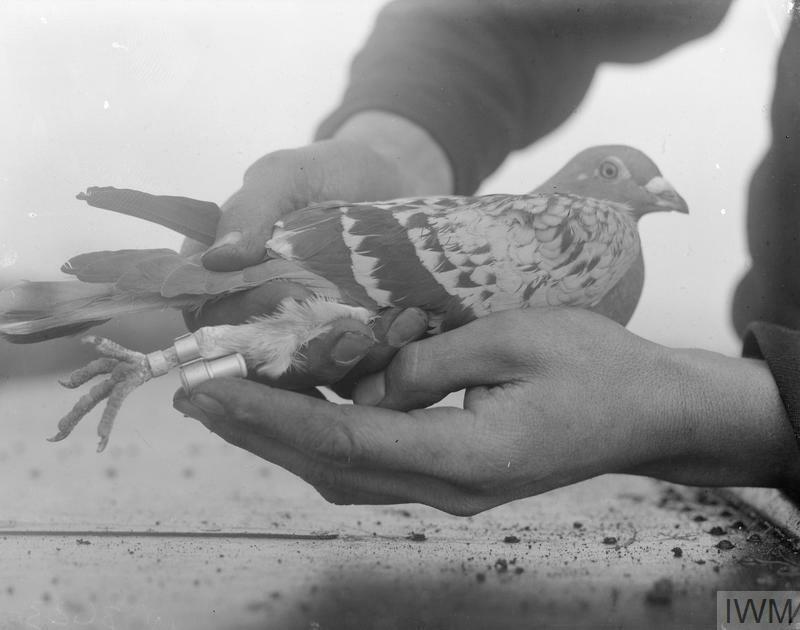 'Dreadnought' - a carrier pigeon used by the Royal Engineers Signal Service. 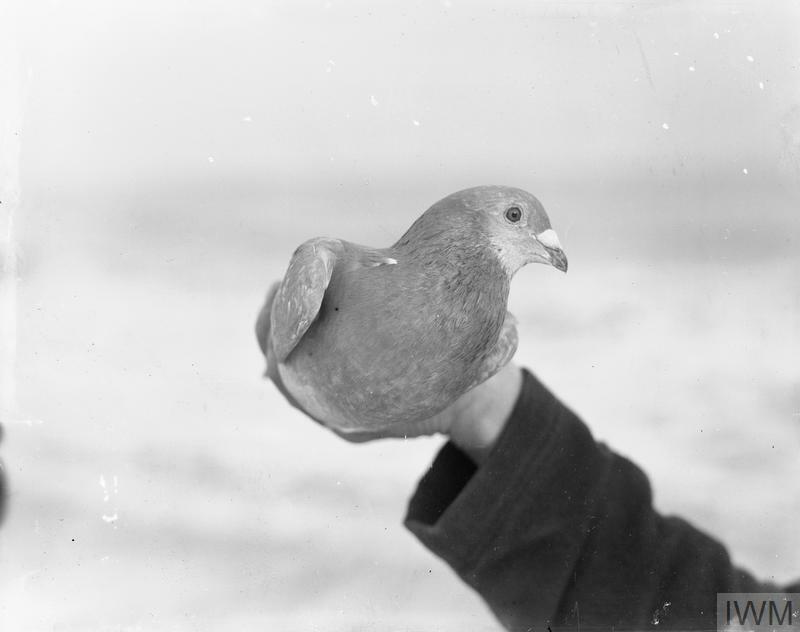 Carrier pigeons often flew through heavy artillery fire and risked injury, This pigeon was shot in left eye whilst carrying message from a British seaplane attacked in the North Sea. Despite the injury, the bird was still able to deliver the message to its destination. 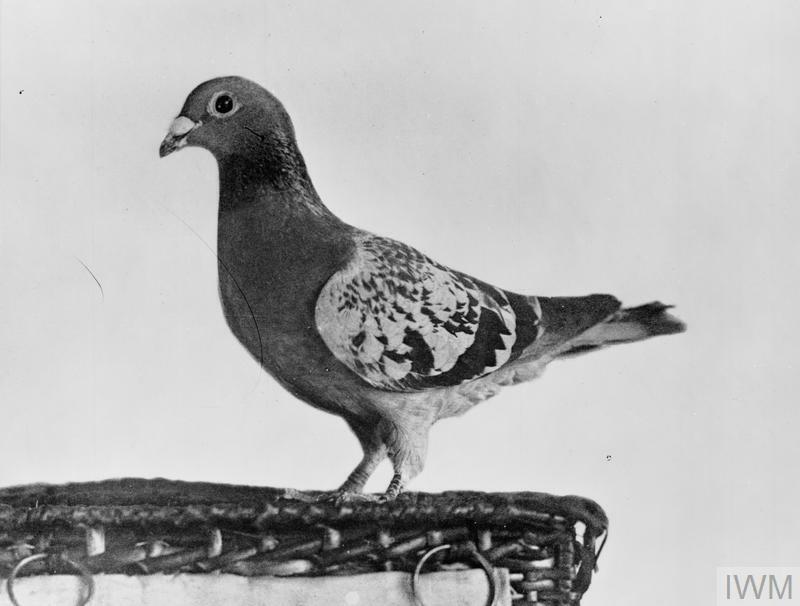 Carrier pigeons were allotted to both stationary and mobile lofts. This photograph shows a former London double-decker bus being used as a mobile loft. 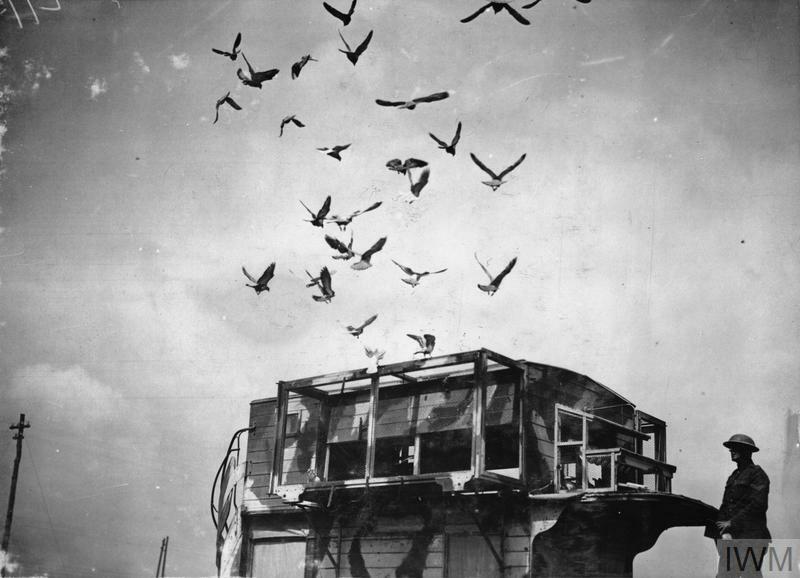 Between 60-75 birds could be housed in a mobile loft at any one time. A former London double-decker bus being used as a mobile loft for carrier-pigeons. Episode 34: Animals have played a role in armed conflict throughout history, and the First World War was no different. Hear how Millions of horses were used by all the combatant nations to transport men, supplies and equipment, as well as how pigeons and dogs were trained to carry messages. 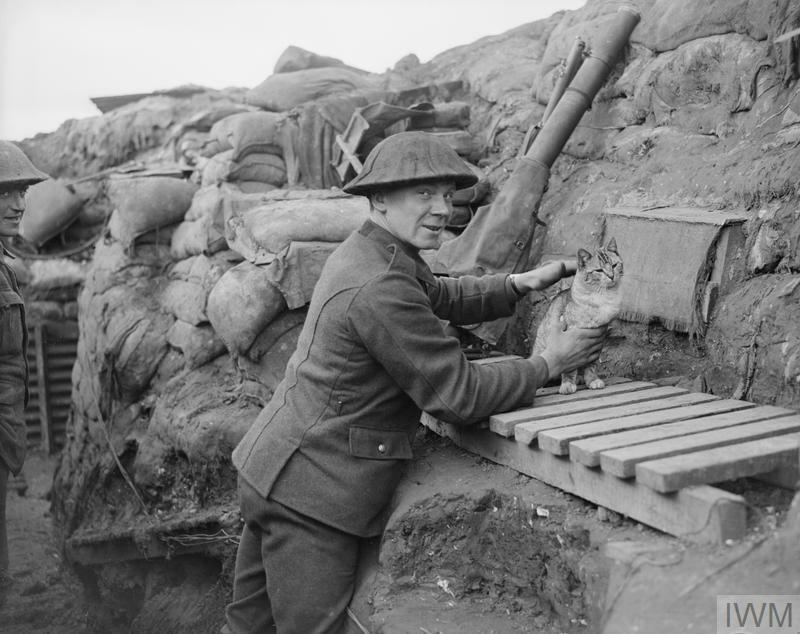 Over 16 million animals served in the First World War. They were used for transport, communication and companionship. Horses, donkeys, mules and camels carried food, water, ammunition and medical supplies to men at the front, and dogs and pigeons carried messages.